"Vulnerability Management Maturity Level to Control Security"
An organization’s vulnerability management maturity level is related to their ability to drive out security risk from their operations. 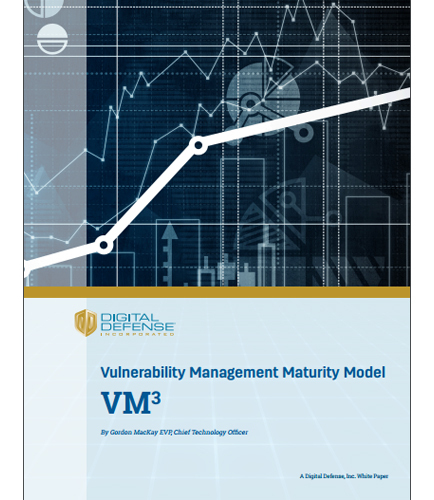 The purpose of this model is to help organizations gauge their level of maturity with respect to their vulnerability management processes and their security maturity risk level. What truly is vulnerability management? Vulnerability management is a process which includes far more than a vulnerability scanning and management technology. There is a strong need for organizations to learn and evolve their vulnerability Management programs to control security risk attacks and data breaches. Last step of vulnerability lifecycle process: Measuring and reporting findings. How can we measure vulnerability management? How can vulnerability management tools tackle data breaches involving vulnerabilities? How to implement vm3 model to transform your vulnerability management processes? Since digitalization is the key to enhancing customer experience, organizations go through the digitalization journey to create an ecosystem and provide a significant number of products and services which focus on the customer experience. This whitepaper defines digitization as the process by which various analog elements into electronically readable formats in order to create a paperless environment in an organization. Key takeaways from this whitepaper: Need for Digital business transformation Structure of a Digital Transformation Framework Digitizing the business operations and the organization Enterprise Digitalization Roadmap in this digital era Digitalization creates a unique experience for all customer interactions in a controlled and predictable vendor environment.